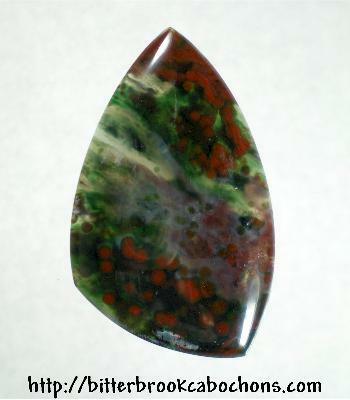 I'm told this material is Bloodstone. It may not be, but it sure is pretty! Bright red droplets floating in a green current. I'd like to say it's spectacular. So I will. Spectacular! 39mm x 24mm x 4.5mm. Weight: 31.45 carats.